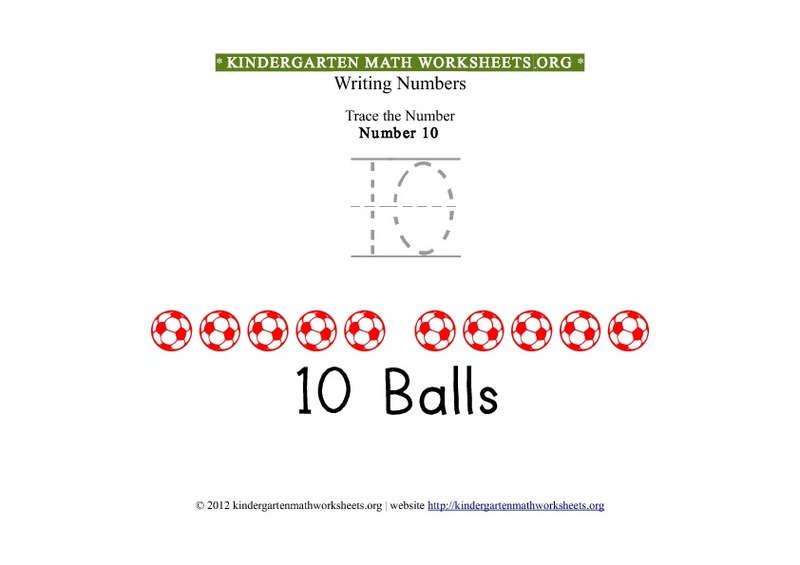 Description of math activity: Number 10 tracing and basic number recognition with pictures in printable format suitable for kindergarten. 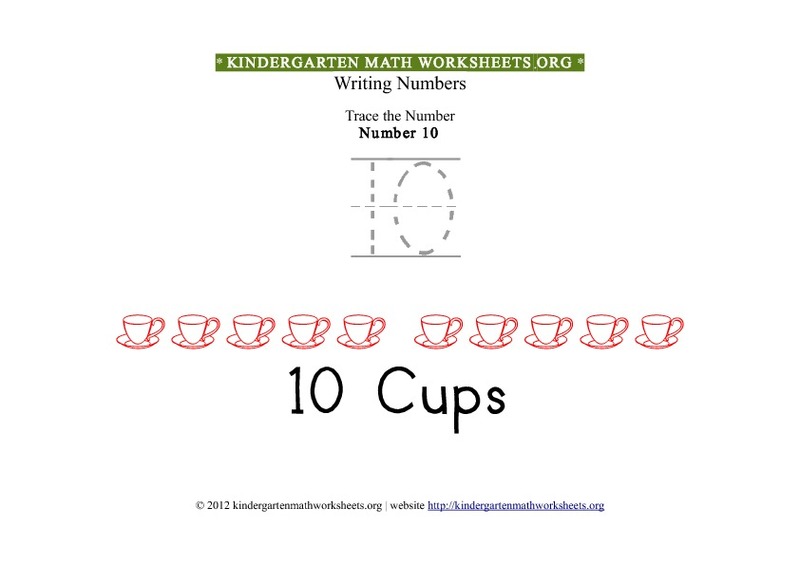 This free printable kindergarten Number 10 tracing worksheet with pictures is created specially for number recognition activities. 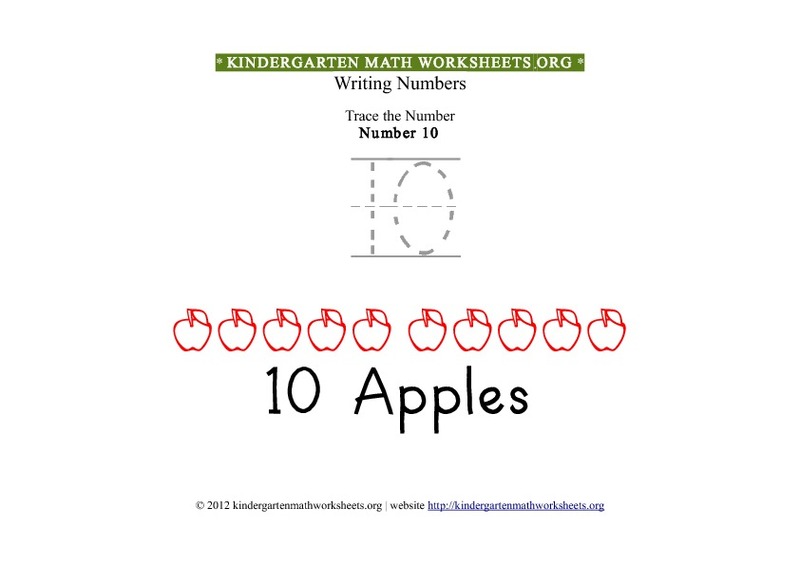 Download the free printable pdf of all kindergarten Number 10 worksheets.